Thomas E. Stanley, 83, of Chester, passed away, Saturday, April 13, 2019, at the Stone Pear Pavilion Orchards at Foxcrest in Chester. Born, September 9, 1935, in Acme, WV., he was a son of the late Edward Charles Stanley and Madge Marie Holbrook Kokoskie. 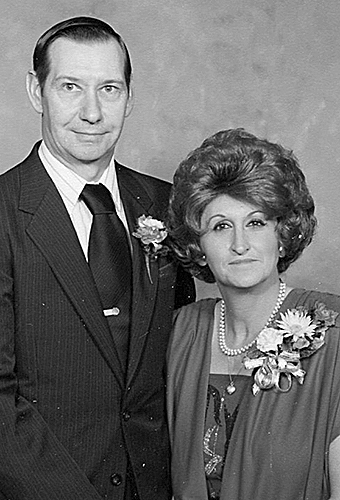 In 2015 Thomas was preceded in death by his loving wife, Shirley Stanley. He was also preceded in death by his son, Thomas Stanley Jr.
Thomas was a graduate of Union High School in Burgettstown, PA. He was a proud veteran of the United States Navy and he retired as a Welder from J & L Steel in Aliquippa. Thomas was a member of the Chester First United Methodist Church. He was also a member of the Hookstown American Legion Post #0952. Thomas was an outdoorsman and he loved being at his farm in Tyler County. He enjoyed spending time with his grandchildren, and he will be deeply missed by them. Thomas is survived by his daughters, Teresa Hutton and husband, Mark of Chester and Barbara Thompson of Canonsburg, PA.; brother, Jerry Barrett and his wife Debbie of Summersville, SC. ; sister, Sharon Fratini and her husband Memmo of Burgettstown, PA.; grandchildren, Tommy Stanley III (Bernie), Michael Stanley (Darcy), Holly Dawson (Michael), Jessica Hutton and Mei Sedlack. He is also survived by 7 great-grandchildren. Rev. Kara Rowe will celebrate Thomas’ life Wednesday, April 17, 2019, at the Arner Funeral Chapel, at 11a.m. Interment will follow at the Franklin Cemetery in Wellsburg, WV. and military honors will be performed. Friends may visit with the family, Tuesday, April 16, 2019, from 2 p.m. to 4 p.m. and 6 p.m. to 8 p.m.